The Torei serving tray from New Tendency convinces with its timeless and modern design. The tray is precision-welded by hand and is made of ultra-thin powder-coated sheet steel. 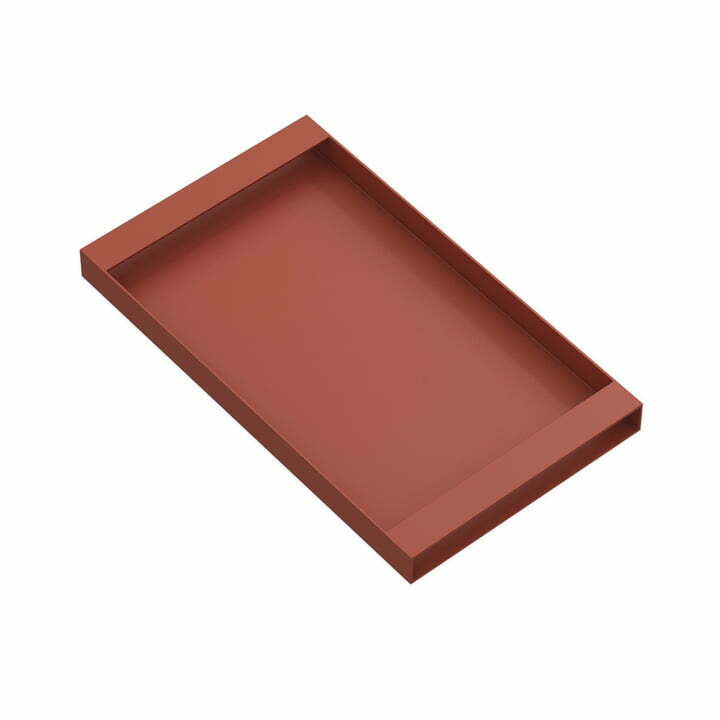 Available in two different sizes and different colours, the minimalist tray blends in well with any ambience. It can be used for serving or decoration on the table and gets a special look through the powder coating. 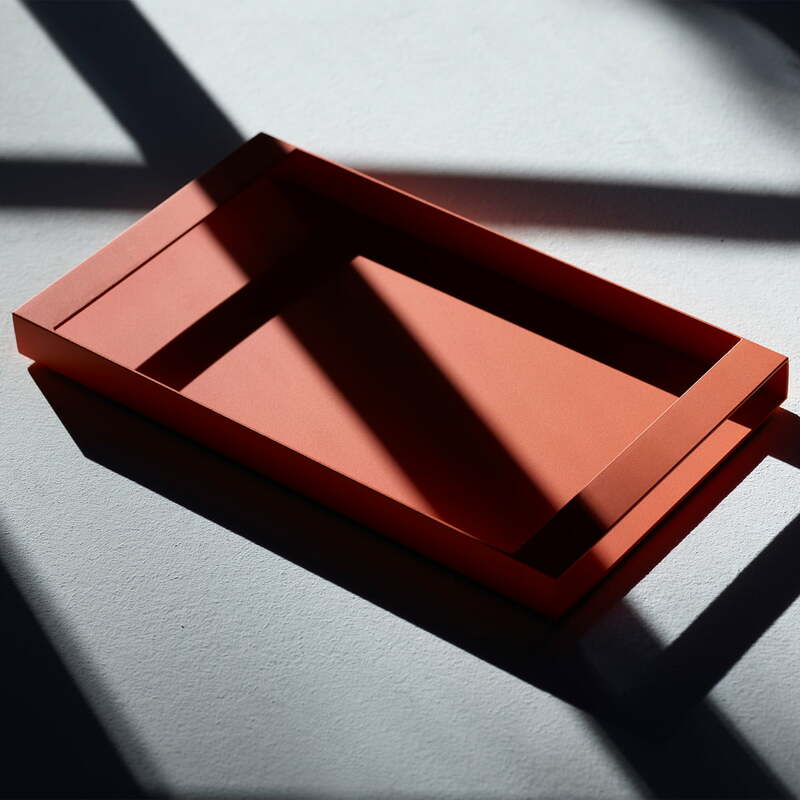 The Torei serving tray 320 × 185 × 25 mm from New Tendency in sienna is precision-welded by hand and is made of ultra-thin powder-coated steel sheet. 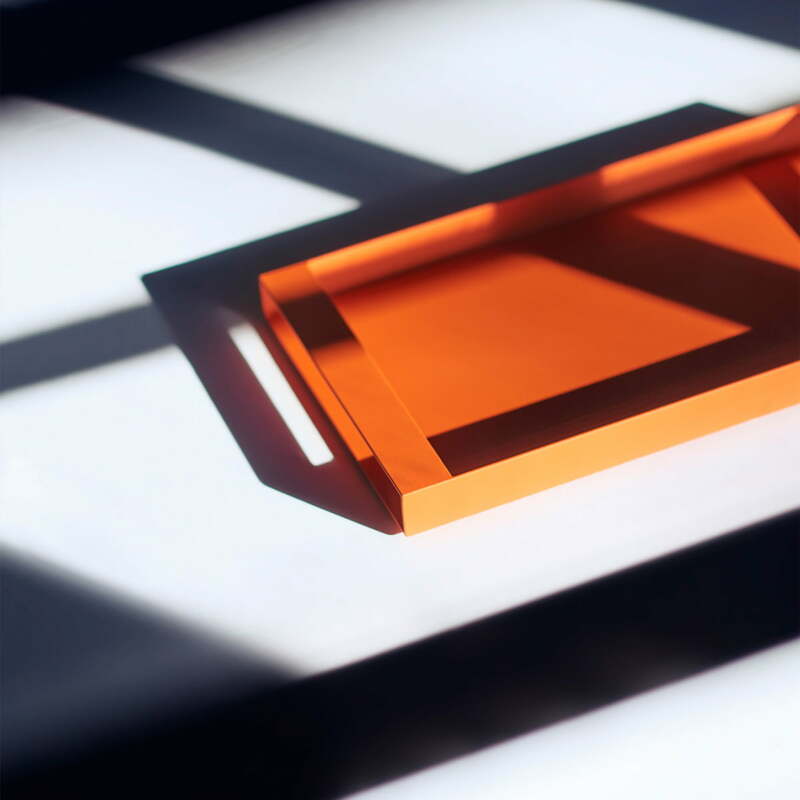 The Torei serving tray 320 × 185 × 25 mm of New Tendency in orange. The serving tray from New Tendency convinces with its timeless and modern design. 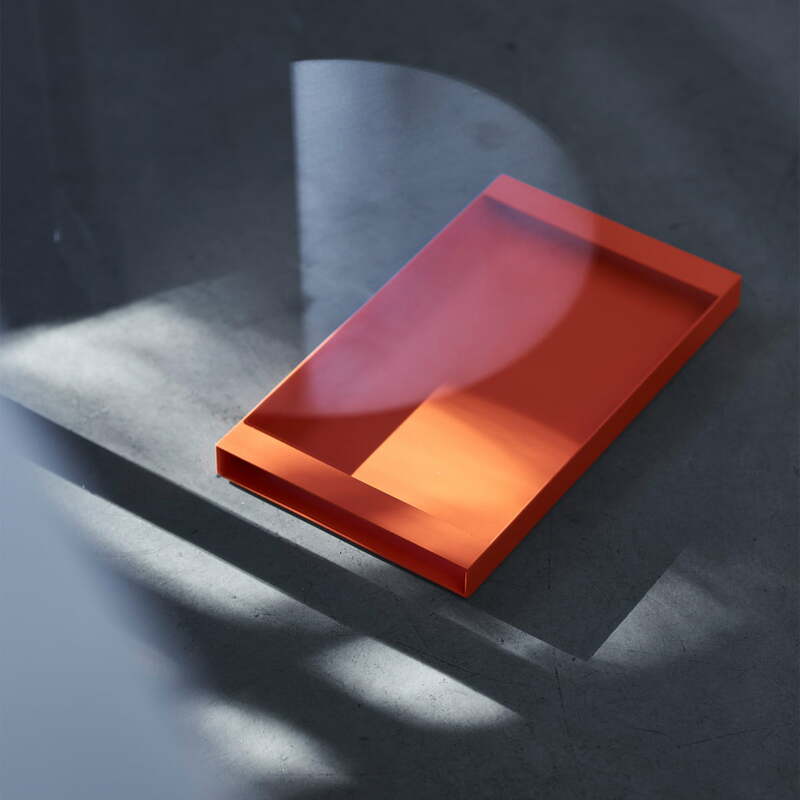 The Torei serving tray 320 × 185 × 25 mm from New Tendency in orange can be used for serving or decoration on the table and is given a special look by the powder coating. The Torei serving tray from New Tendency convinces with its timeless and modern design. The tray is precision-welded by hand and is made of ultra-thin powder-coated sheet steel.